Mother Nature knows it all, and it’s our job to stay connected. For some of us that connection is easier than for others. Even if you live in a lush area of Nature, a job that finds you in an office building for a large part of the day and the year creates a disconnect. And for city-dwellers, that basic connection to Nature sometimes requires a little more effort to make it to a park, beach or lakeside. But it’s not just the Earth itself that’s the magic of Nature. It’s all it’s geometric patterns, it’s blooms, and the powers of botanicals and flowers to heal, to clear energy and to provide inspiration, stories, love and wonder that make Nature a wildly prolific superpower. 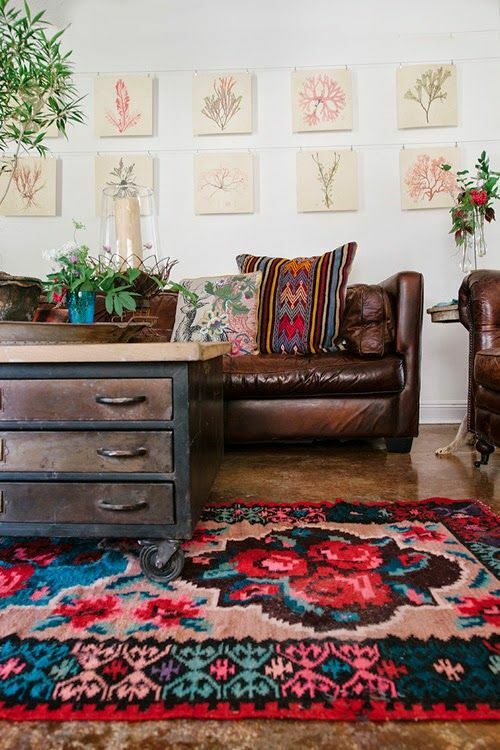 Today, let’s look at spaces themselves, and how they can benefit from botanical infusions! Feathery juju hats look like huge blooming handcrafted flowers. 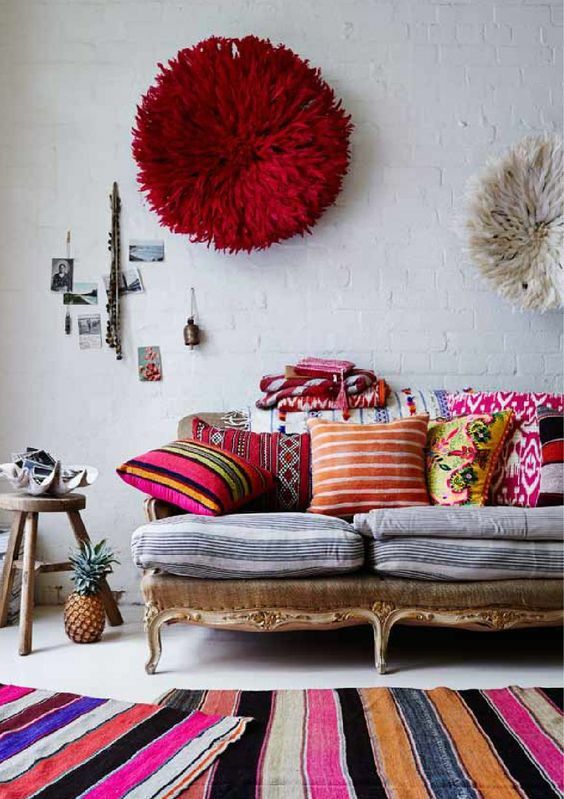 Handwoven cotton rugs and botanical printed pillows are a booster of nature… but… wow how I love that pineapple! 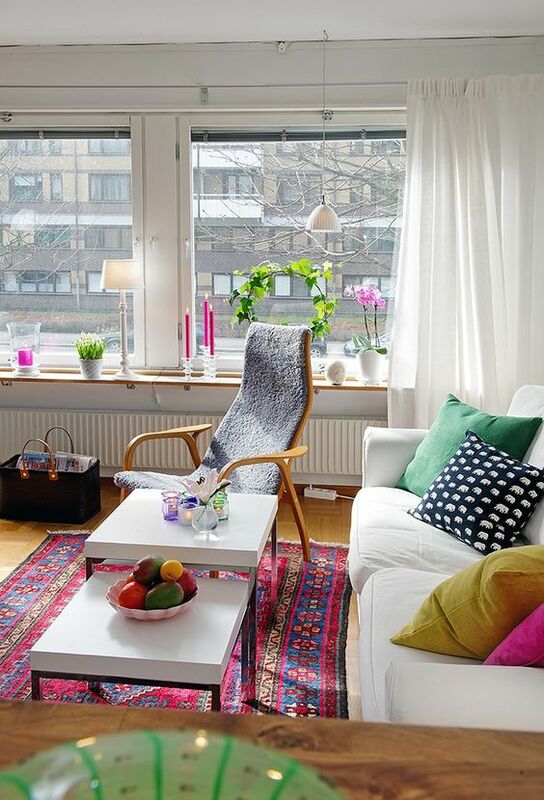 In the city, a fruit bowl and a ledge filled with orchids, leaves and bulbs is beyond charming. You can feel the fresh energy just looking at them! 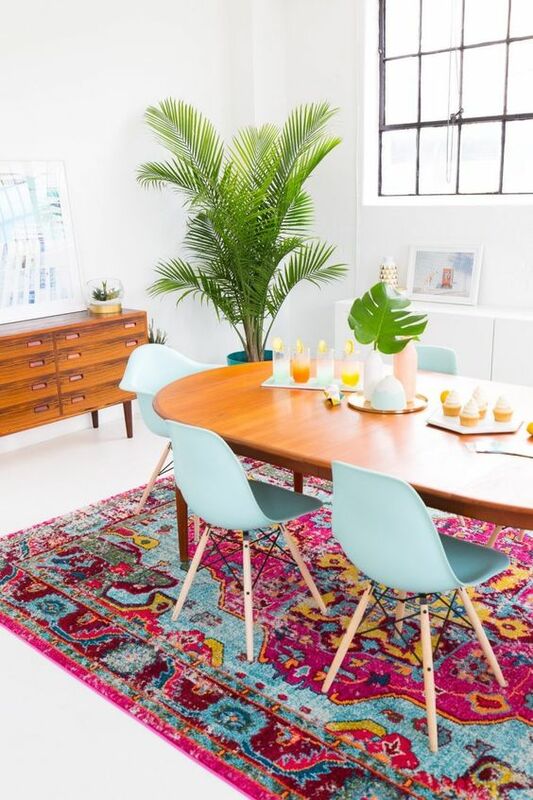 I’m on the lookout for as smashing a floral rug, and forever I’m a fan of the botanical print. I find so many from artisans by searching Instagram. 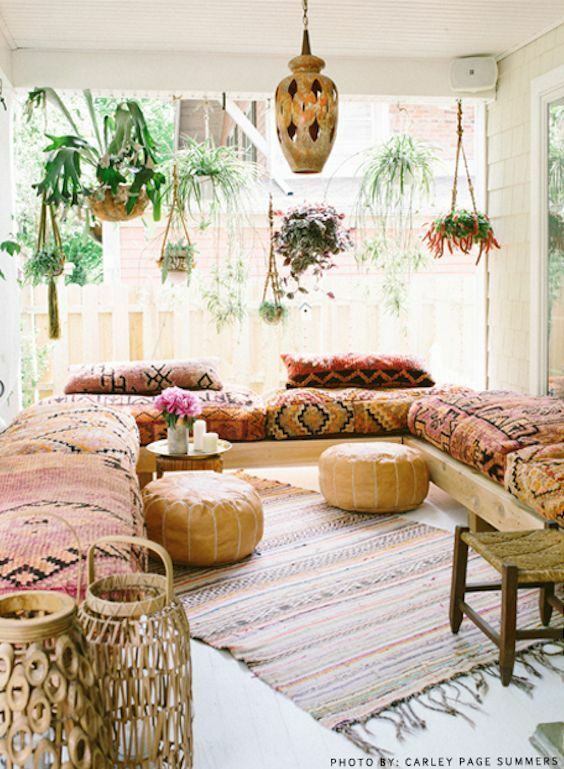 And, of course, the mixes of wicker, jute and lush hanging planters transforms a space from urban dwelling to Natural Oasis. We are so similar to nature in so many ways- even cellularly- that when our homes have natural patterns, on a very basic level, they resonate more deeply with us on a joyful level. That joy resounds by allowing us to experience more of what we want with far greater ease. Previous post: Could This Be Why Your Feng Shui (Or Any Other Big Change) Isn’t Working Out? Next post: Doodling Is Great For Memory & Problem Solving!